Oscar-winning director-producer Steve McQueen will direct a documentary about Tupac Shakur, Shakur Estate trustee Tom Whalley and Amaru Entertainment announced Tuesday. The authorized account of the late rapper’s life will be produced by Nigel Sinclair’s White Horse Pictures and Jayson Jackson (“What Happened, Miss Simone?”). Nicholas Ferrall will also produce alongside Whalley. Gloria Cox, Tupac Shakur’s aunt and Afeni Shakur’s only sister, will executive produce along with White Horse’s Jeanne Elfant Festa. 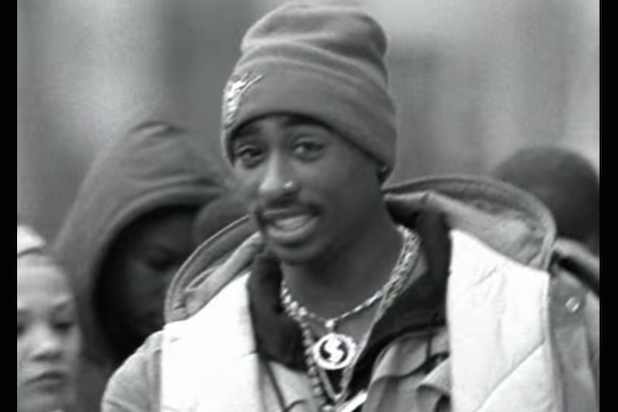 Shakur, who has sold 75 million albums worldwide, died September 13, 1996, six days after being shot multiple times in a drive-by shooting in Las Vegas. In addition to 2013 Oscar Best Picture winner “12 Years a Slave,” McQueen has also directed “Hunger,” “Shame” and the upcoming crime thriller “Widows” with Liam Neeson, Viola Davis, Michelle Rodriguez and Jacki Weaver. The documentary will be fully financed and distributed by Amaru Entertainment. Next month, Lionsgate will release Morgan Creek Productions’ biopic about Shakur titled “All Eyez on Me.” Demetrius Shipp Jr. stars as the rapper, along with Danai Gurira, Kat Graham, Jamal Woolard, Dominic L. Santana, Lauren Cohan and Grace Gibson.